Lavish spending on hotel rooms and employee parties. An executive director who rappels down buildings and rides a Segway into an annual conference meeting that reportedly cost the nonprofit $3 million dollars. It sounds almost cartoonish, like a scene out of American Greed, and certainly not the sort of things a donor wants to hear their funds were used for. Nevertheless, this is what was reported by several news agencies last as happening at the veterans’ nonprofit, the Wounded Warrior Project. A bit of a closer look suggests we have seen these dynamics before. Wounded Warrior is what we might term a fundraising factory. 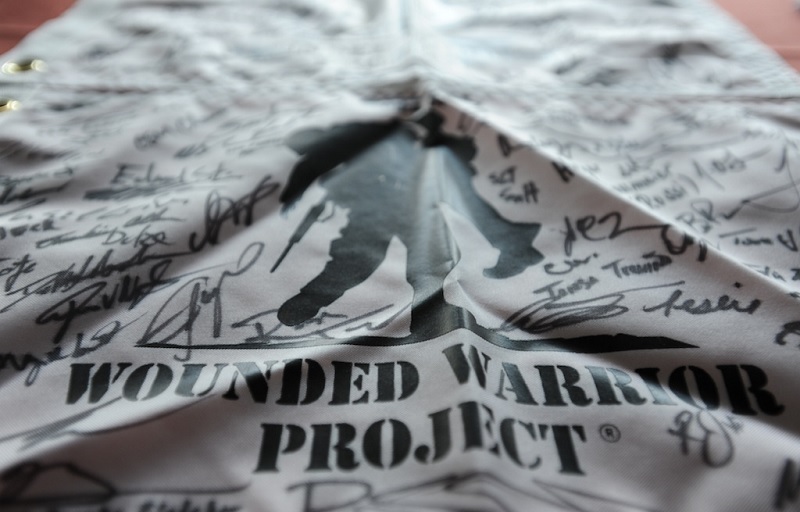 On Tuesday, CBS News ran a story about the Wounded Warrior Project, claiming to have interviewed over 40 former employees who stated that spending was out of control at the organization. One employee was quoted as calling it “extremely extravagant. Dinners and alcohol…just total excess.” Shortly after that, the New York Times echoed the CBS segment, reporting that the organization has spent millions a year on travel, dinners, hotels and conferences that often seemed more lavish than appropriate. Former workers recounted regularly jetting around the country for minor meetings, buying business-class seats or staying in $500-per-night hotel rooms. As big of a juggernaut as the group is in the veterans’ charities arena, this is not the first time the group has come under fire in the media for questionable business practices. In 2013, we reported on the differences in their charity rating among different entities that measure fiscal responsibility. They were given a D rating by Charity Watch that year, partly due to its low proportion of revenues devoted to program activities. Program activities were reported as accounting for only 43 percent of the charity’s spending if one excludes the costs of direct mail, telemarketing, and other solicitation costs that it includes as program services. Compared to other veterans’ organizations, Wounded Warrior is giving less to the people it serves. For example, CBS News reported that Disabled American Veterans Charitable Service Trust spends 96 percent of its budget on vets. Fisher House devotes 91 percent. But according to public records reported by Charity Navigator, the Wounded Warrior Project spends only 60 percent on vets. Its executive director, Steven Nardizzi, has come under fire since taking helm of the organization in 2009. The Times reported that he has a business and growth orientation, and when he started immediately doubled his spending on fundraising. He has increased that spending an average of 66 percent every year since; the nonprofit spent more than $34 million on fundraising in 2014, according to tax records. This focus on expanding the fundraising base among individuals would, in fact, require capital well above what most organizations would spend, since acquiring new donors at a fast pace is an expensive endeavor, so there is a different “model” at play here—a donor acquisition and growth model or a “fundraising factory” -but the fact that it appears to be funded by current donors without an acknowledgement of that is a very big problem. We also have no sense of when and if there will be a “big enough” moment at which time we might expect a smaller fundraising cost. Of even greater concern is Nardizzi’s record of fighting against financial transparency in nonprofits. Nardizzi is on the advisory board of the Charity Defense Council, an organization that advocates for less oversight in spending for nonprofits and promotes high fundraising costs and high salaries for nonprofit executives. Nardizzi himself makes $473,000 in compensation. The situation at Wounded Warriors is reminiscent of two former scandals in the nonprofit world. The first scandal we might liken it to is the storied excess of William Aramony, who led the United Way for 22 years. Aramony is credited with making coherent and guiding the United Way network as it built from $787 million in fundraising proceeds to $3 billion. This growth fed directly into the coffers of UWA since the national hub took 1 percent of every dollar raised by every affiliate around the country. Aramony lived in high style while leading the network, however, with a salary that topped out at $460,000 and a number of perks later deemed criminal. The iconic image in his story was a UW-funded trip down the Nile with a teenage girlfriend. Eventually, this landed Aramony in prison, but when the high-flying was going on, the board justified it as a necessary expense, as he was required to hobnob with well-heeled society. Still, the Columbia Journalism Review noted that the reporting appears rock-solid, saying that both news organizations, CBS News and the New York Times, spent months on the story, rifling through public documents and speaking with key sources inside the charity and out. They each interviewed roughly 50 current and former employees. And the journalists’ conclusions line up: While the nonprofit publically says it devotes 80 percent of its fundraising revenues to services, the news organizations found it was closer to 60 percent. Hailing from small town Findlay Ohio, Alexis holds a degree in Mass Communications from Clark Atlanta University. After working in corporate for 11 years for companies like AT&T and Global Experience Specialists (GES) where she gained experience in business account management, sales, and planning large scale events, Alexis decided to lend her talents to philanthropy beginning a career in funds development. Since getting involved in the non-profit community seven years ago she has raised millions of dollars in funds for various non-profits through donors, grants, corporate sponsorships, and fundraising events. Also an international traveler, her love of other cultures led her to begin facilitating cultural exchange programs. Alexis has touched the lives of over 500 students through her cultural exchanges and believes that these exchanges only highlight how connected we all are in the world. Her personal philosophy is “The World is Your Canvas, Paint it well!”. Alexis lives in Atlanta Georgia with her son and a awesome dog named Kenu. Wreaths Across America: Is a Nonprofit Built on Conflict of Interest Still a Nonprofit?